When it comes to Fiji resorts, Plantation Island Resort is a place for everyone! Arrive, kick back and relax! Plantation Island Resort embraces its lush 23 acres of tropical landscaped gardens with coconut palms and kilometres of white sandy beaches. This resort has a relaxed atmosphere but bursts with plenty of activities and Fiji cultural experiences. Cool down and chill at one of the many pools or swim in the beautiful blue water lagoon. Take part in the featured daily activities or sip a cocktail at one of the many bars while you watch the sunset and take all the time you need to discover the magic of Plantation Island Resort. Is that a painting outside? No, it’s a beautiful ocean view courtesy of a Beachfront Bure to really set the scene for what they call dreamy Fiji family holidays. This bure is large and comfy – five star surrounds in a three star gem! Kick back and relax with gorgeous garden views that give these bures a point of difference. 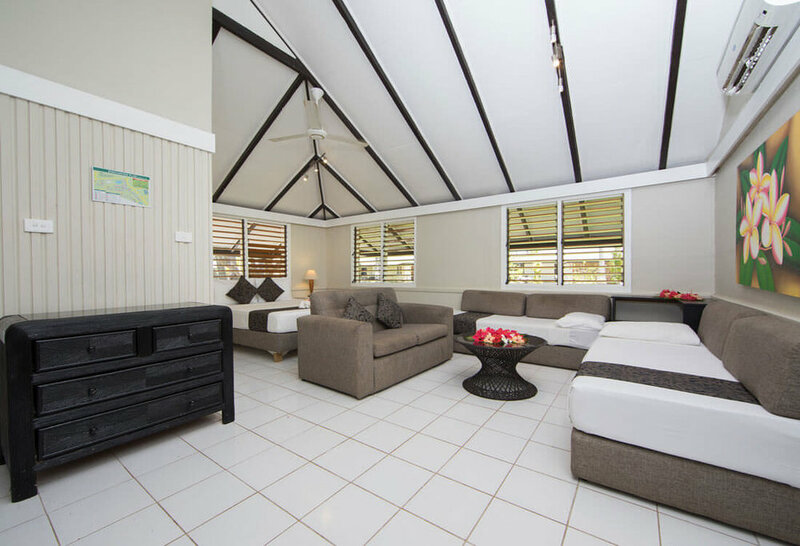 Throw into the mix clean rooms in air-conditioned comfort and the 2 Bedroom Garden Bure is perfect for friends on a budget or ideal for a classic Fiji family holiday for up to 6. Located footsteps from the ocean, you will have un-interrupted access to a beautiful white sand beach. 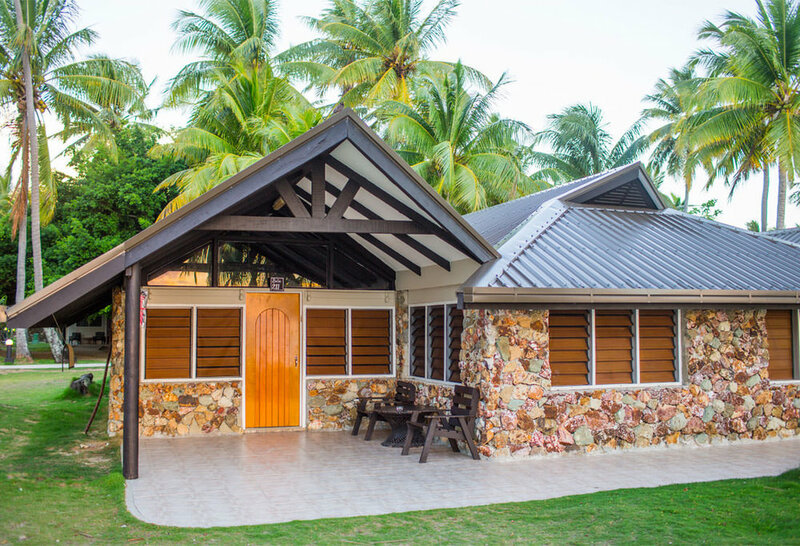 Modern, spacious and beautiful tropical garden surrounds make up this accommodation option for your Fiji family holiday. The perfect place to retreat to when you’re not having loads of fun throughout the resort. 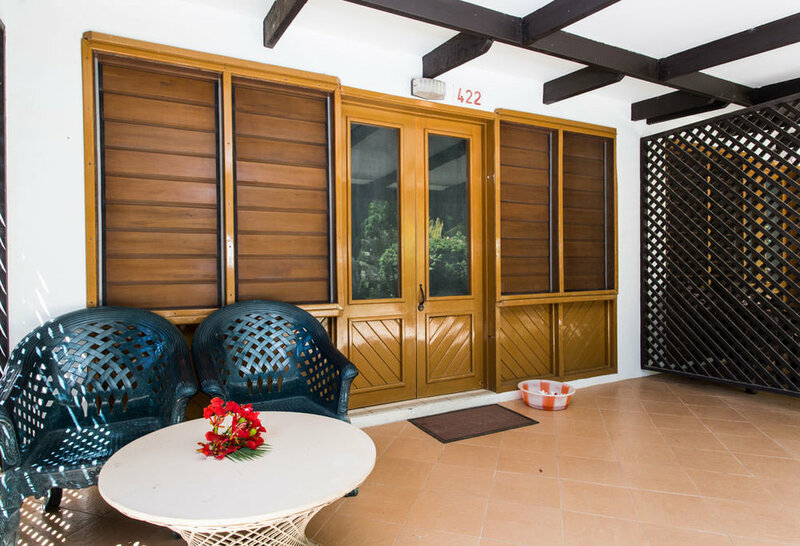 Modern, spacious and beautiful tropical garden surrounds make up this accommodation option for your Fiji family holiday. The perfect place to retreat to when you’re not having loads of fun throughout the resort. Garden charms surround this quaint option in a quieter area of Plantation Island Resort and all facilities are close by. Fiji family holidays can be enjoyed from all points of the resort – especially this comfortable Garden Terrace option. Falling into the rhythm of island life goes hand in hand with falling into an enticing pool just outside your room! Plantation’s popular poolside room option is a beauty, renowned for a large room and charming fittings and furnishings. 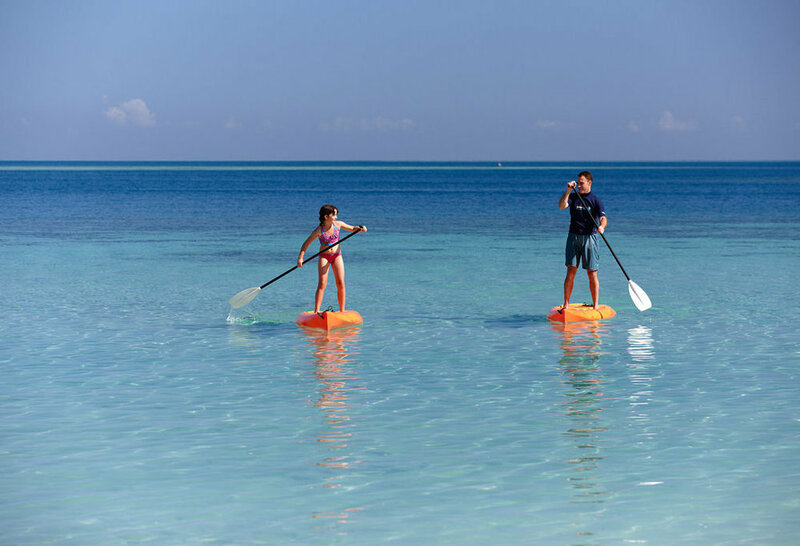 From paddleboarding, tennis and golf to scuba diving, surfing and even coconut tree climbing, the sky’s the limit for activities. There are plenty of things to do in Fiji, but a whole world of adventure alone awaits you at Plantation Island Resort. That includes countless activities for smaller children, but a big drawcard for Plantation is the amount of options for teens, too. SURFING - You can choose from 7 breaks, depending on your level of surfing skills and which has the better surf. Fiji surfing is as much fun as anywhere else in the world. SCUBA DIVING - Subsurface Fiji is a multi-award winning PADI 5 Star professional dive company, taking divers to the best locations in the Mamanucas since 1988. The company offers an impressive fleet of boats, top-notch equipment and a highly skilled crew to deliver the best diving experience. WATER PARK - Plantation Island Resort’s new Water Park boasts six action-packed modules including the iconic Action Tower and innovative spring-free Aqua Trampoline. The Water Park was designed to suit the water depths, location and other specific requirements of Plantation Island Resort’s beachfront. With safety paramount for Plantation Island Resort’s guests, several considerations were taken into account for the Water Park’s configuration, such as the inclusion of the unique re-entry pods to enable users to safely climb back on or off the Water Park without difficulty. BULA BIKES - Cycling is a fun, efficient and easy way to experience Malolo Lai Lai island. GOLF - Enjoy a few rounds of golf in Fiji on our picturesque 9-hole course. Designed and built by Ananda Madhwan, the winner of the Nadi Open in 1996, after teeing off and exploring over 2000 yards of tropical course you can relax and enjoy the facilities back at the clubhouse. EXCURSIONS & TOURS - Indulge in a luxury day, half day or sunset cruise. Enjoy the adventure of game fishing, experience the thrill of parasailing or do it yourself bare boating on a sailboat. All material © 2001 - 2015 Surf the Earth.